The best sequels follow characters rather than events. That is why superhero sequels are very easy and successful while sequels to films like The Hangover will always struggle. The Hangover was a novel events driven story. It had funny, likeable characters but for the most part it was about the quest, not about the people on the quest. Superhero films follow that central character so sequels are easier to accomplish, to make sense of and to develop. Pixar have learnt this the hard way. Cars wasn’t fantastic as Pixar movies go and to create a sequel based on characters people care little about was risky and resulted in a film that was below Pixar’s best (so I’ve heard). Toy Story is an example of how characters drive the story and it resulted in two fantastic sequels which equalled and arguably surpassed the movie that came before them. 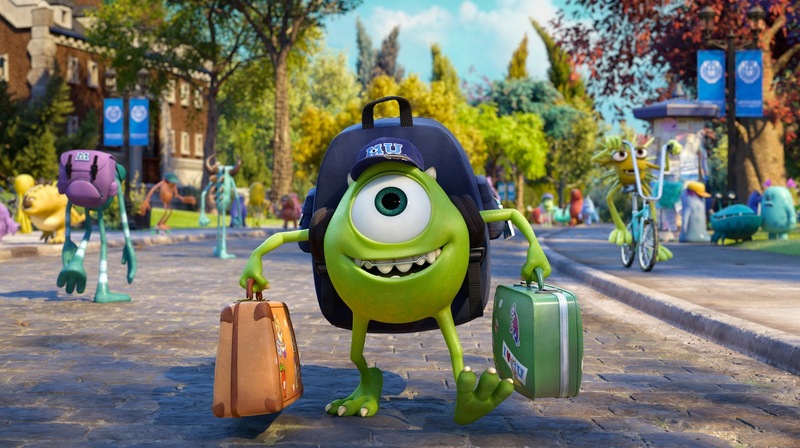 Luckily, Monsters University is character driven and a very successful sequel. Making this a prequel rather than a sequel was a great idea. From the beginning, following a very young Mike, you can see the Pixar magic at work. The different and very creative monster design is back as well as the very adult writing which adds great depth to the story and the great links back to the what the audience is already familiar with if they have seen the first movie. The film is funny and charming from the offset. It helps that these are characters you care about and are brought to life fantastically. 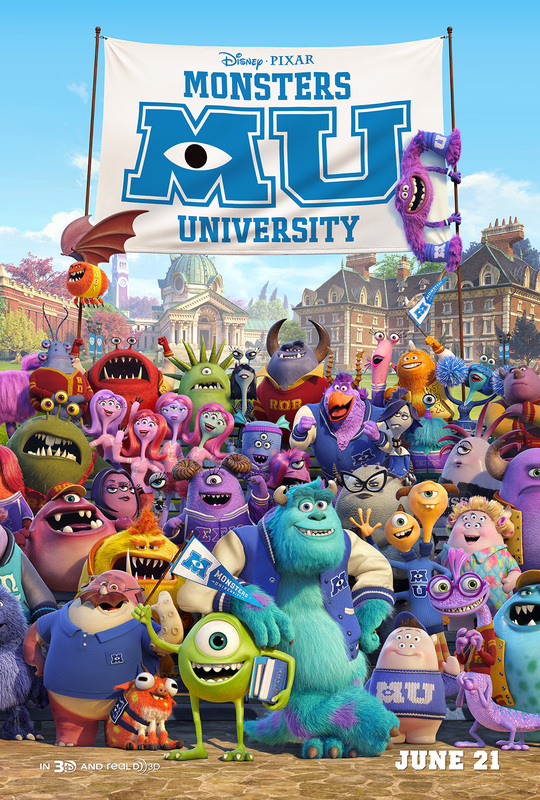 To have Billy Crystal and John Goodman come back to voice the two central figures is a great move and the way they have redesigned and altered the monsters to put them back to university age is also done very well. The movie also boasts some great new characters, from the friendly monsters the pair befriend and are forced to work with to the scary Dean Hardscrabble, played brilliantly by Helen Mirren. The new monsters and characters that have been introduced are great. The story was where I was most worried. The first was very clever and developed an aspect that plagues almost every child. Placing these characters into a university setting, something a lot of children won’t be familiar with and an environment that has been done a lot of times before, was risky. Pixar use this very cleverly though and what we get is a movie that is a cross between every “college-movie” you’ve seen with a touch of Harry Potter and the Goblet of Fire thrown in too. So alongside the frat parties, the university classes, the tests, midterms and finals is also a scare competition that is central to the whole movie. The story feels very simple once it gets going but as it progresses and events develop, we get something much cleverer and unexpected that has one of the best Pixar movie finales I’ve seen and something quite scary, clever and mature to bring our characters together properly. Above all though, it tells the story of how Mike and Sully became best friends, began working at Monsters Inc and became the characters from the first movie, and it tells it brilliantly. Prequels are difficult to do, tying up loose ends and forcing your characters into an end point but Pixar don’t just do this well, they do it with that magic that has made their animated movies better than most of their competition. 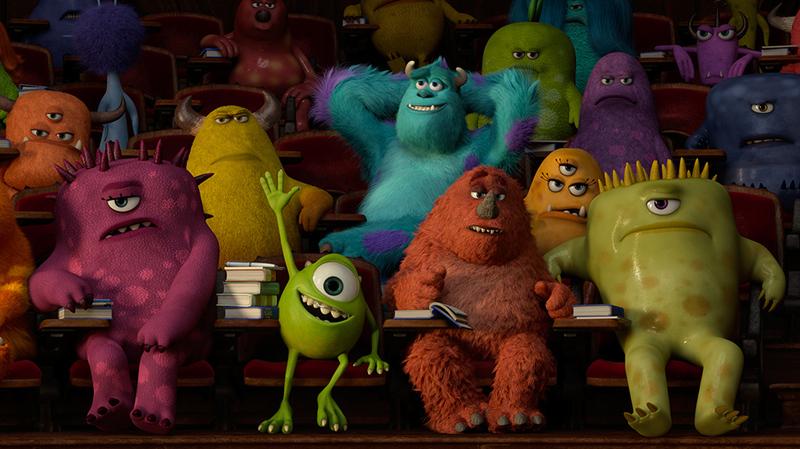 Overall, Monsters University is a great addition to the Monsters Inc story. It tells a great story, gives us a fresh chance to see Mike and Sully and introduces us to brand new, very funny characters. Its smart, focused and mature story-telling with a great final act. I just hope they leave it there though and continue with more fresh and original ideas. As great as this movie is though, I do want to see more original movies coming from Pixar.